Friends, I'm excited. 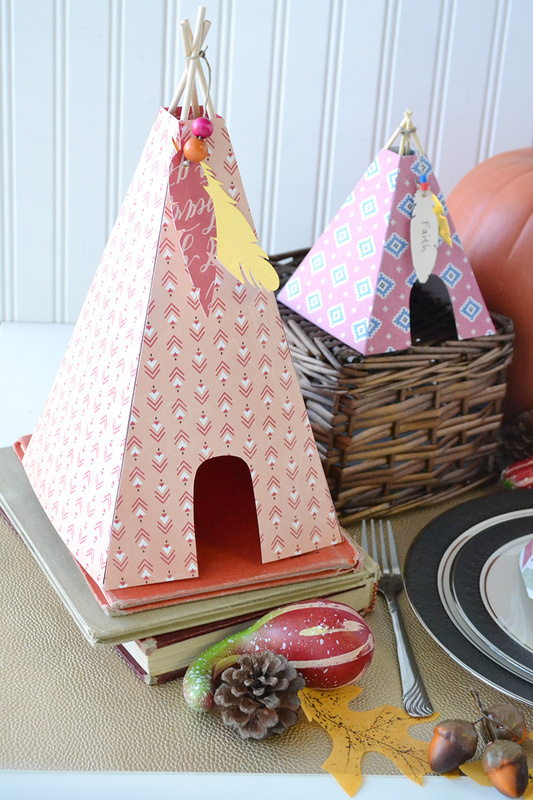 I've got a plan for my Thanksgiving decor and I love it. 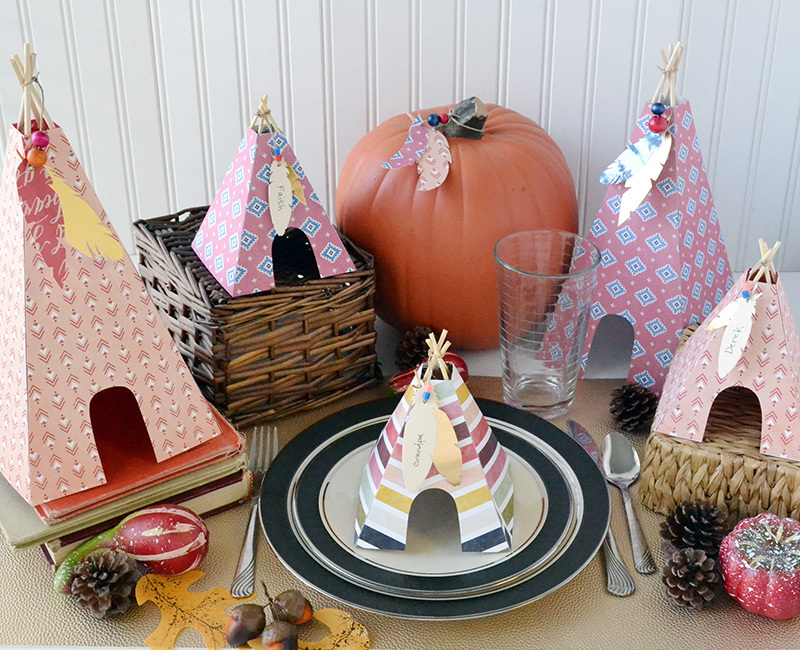 I've been inspired lately by tribal decor for the fall, and happily it fits perfectly with Thanksgiving. It harkens back to the origins of the holiday, and it allows me to bring in some natural textures and earthy tones. 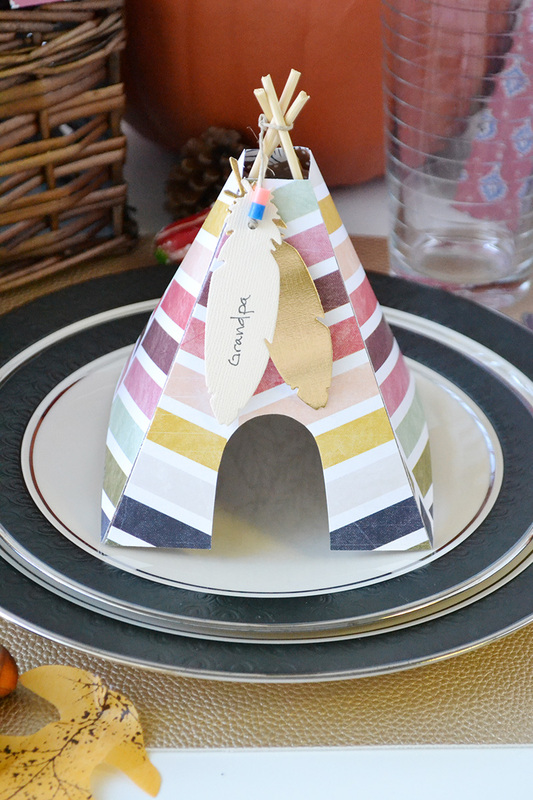 As part of my Tribal Thanksgiving Decor (more on that later), I made some Teepee Place Cards using some tribal scrapbook paper, and one of my favorite crafting tools, the Banner Punch Board. 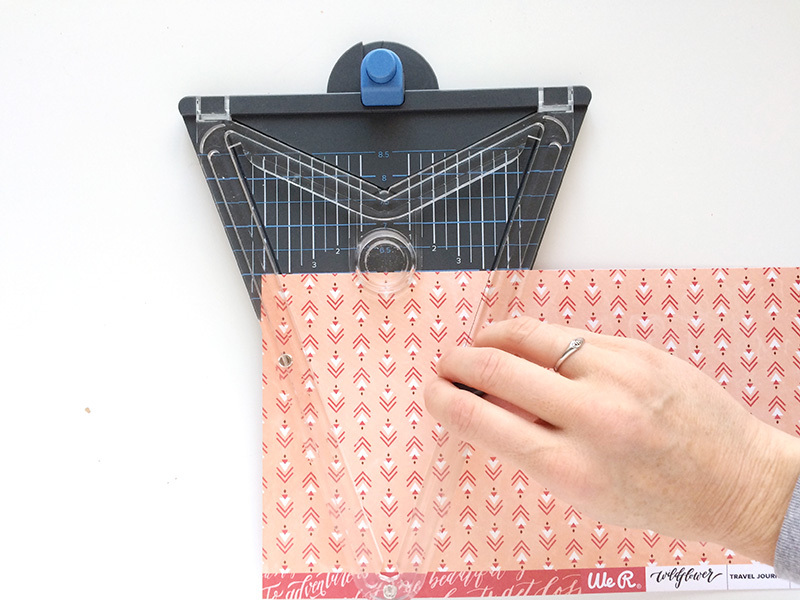 Start by cutting four 6 inch triangles from your scrapbook paper. 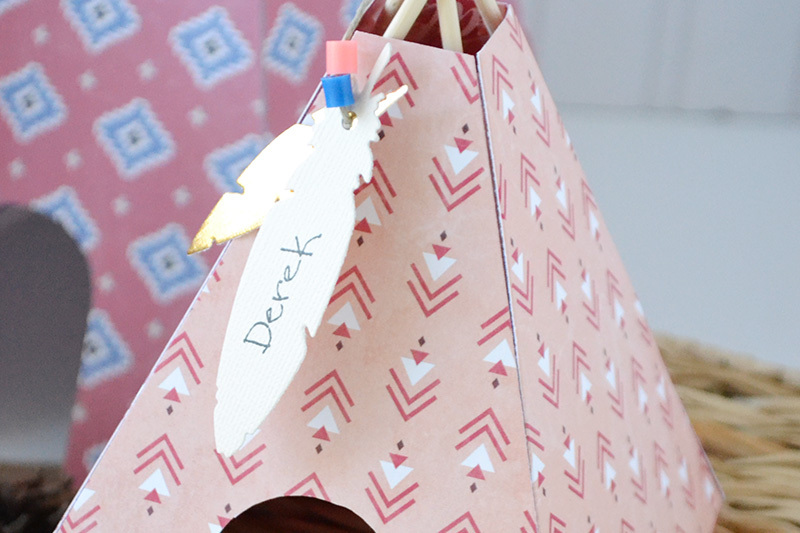 I used my Banner Punch Board so that my triangles were exactly the same size and shape. 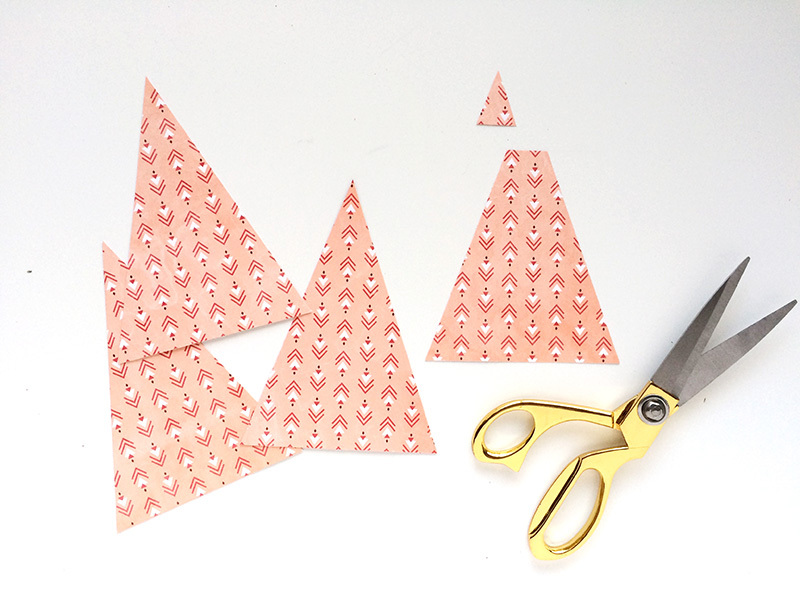 You can cut your triangles by hand, or with a die cutting machine, but they all need to be the same size. 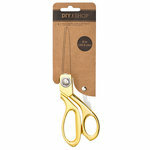 Next, trim about 1 inch off the top of each triangle with your scissors. Now you need to cut a doorway out of one triangle. 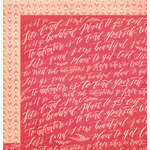 You can freehand this with your scissors, or trace a doorway with your pencil first, and then cut it out. Next, tape all four triangles together so that their edges are flush with each other. 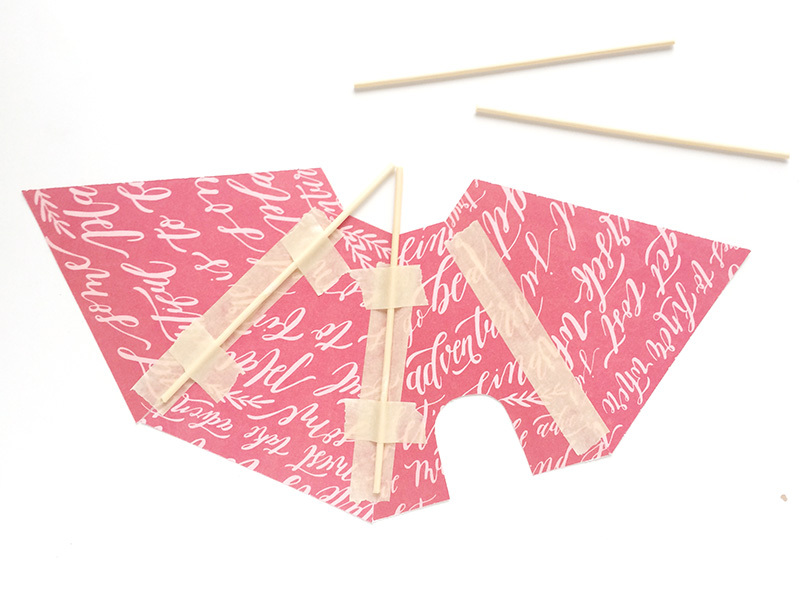 You can use masking tape or decorative tape. 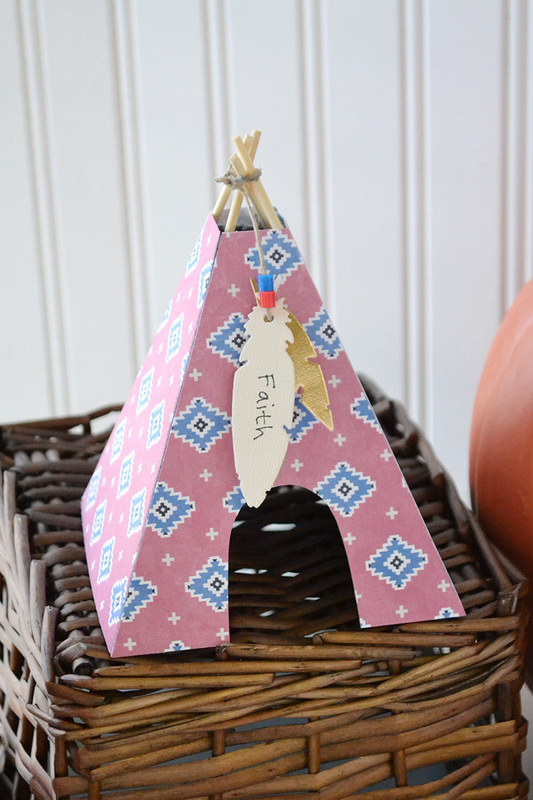 Tape them on the side that will not be shown once your teepee is assembled. Take two 12 inch bamboo skewers, cut off the sharp tips and then cut them in half. 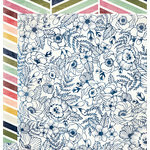 Tape one on each corner, or seam, allowing about an inch and a quarter to show over the top of the paper. 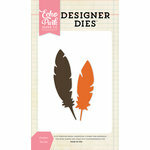 Cut some feather shapes from the scrapbook paper by hand or with a die cutting machine. I cut a few from gold metallic paper for a little shimmer, and for a little nod to the holiday season. Write one of your guests' names on one of the feathers with a permanent pen. Punch a small hole near the shaft of the feather. Trim about 8 inches of jute twine, and tie a knot in one end. Thread the other end through the hole (back to front) and add two or three coordinating colored beads. 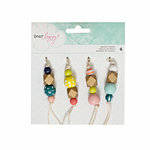 Tie it onto the bamboo skewers on top of the teepee. 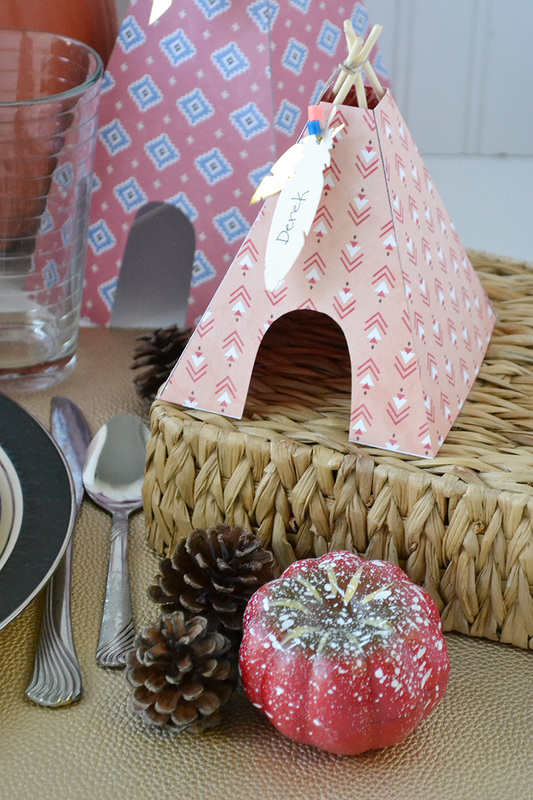 Make one teepee for each guest, and place them on the plate where you'd like them to sit. 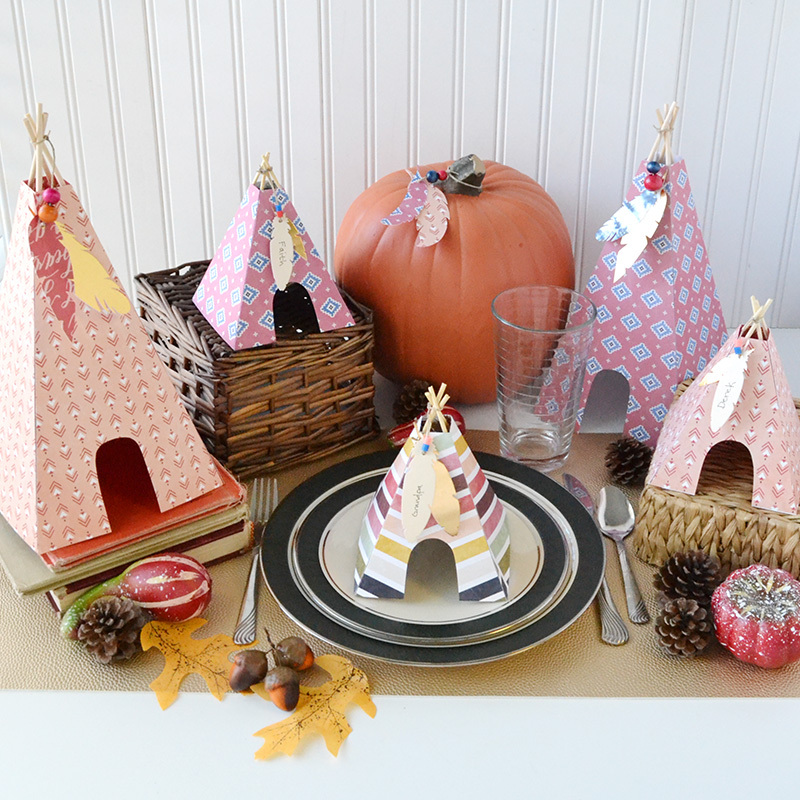 I made some large teepees, and tied some extra feathers and beads onto a pumpkin to use as my centerpiece. Then I scattered some small pinecones, acorns, and fall leaves around to complete the look on my table. I love how it turned out, and I especially love how easy and low-key this decor is. It's fits in perfectly with my fall decor, but still adds an extra special touch for the Thanksgiving holiday. Ally, you are so talented and your creativity is AMAZING!!! So glad I found your blog!! I have gotten so many ideas here! !